Politics is all about struggle for political power, control and distribution of resources where majority rule while minority have a say. It follows, therefore, that the strength of a political party is derived from its ability to control a larger number of eligible voters based on all encompassing structure from top to bottom in terms of organising, penetration, mobilization, quality leadership, in a clear and well defined political manifesto. Membership of a political party connotes the coming together of people of same political ideology: working creatively together to promote that cherished ideology and manifesto spelt out in a document called the party’s constitution. The party’s constitution defines the structure, allocation of power to the various structure within the party and equally explains in clear terms why the party wants to acquire political power with which to implement its socio-economic policies and programmes. In the same vein, political power being the only legitimate source of power derived from the people must, of a necessity, be people-focused, people-oriented and people-centered; which is why democracy is viewed as government of the people, by the people and for the people. The Peoples Democratic Party (PDP), reflects the universal definition of democracy based on representative government. It was therefore, not a surprise, when Nigerians embraced the noble and progressive political and socioeconomic programmes of PDP at a time our people yearned for genuine representative government for equitable distribution of resources, good governance and overall development of the country. In Delta State, for instance, the party had Chief James Ibori as the first elected governor under the PDP. That was an era which snowballed infrastructural and socio-economic development. Ibori, it was, who championed the South-South Governors Forum; mobilized and canvassed for resource control. 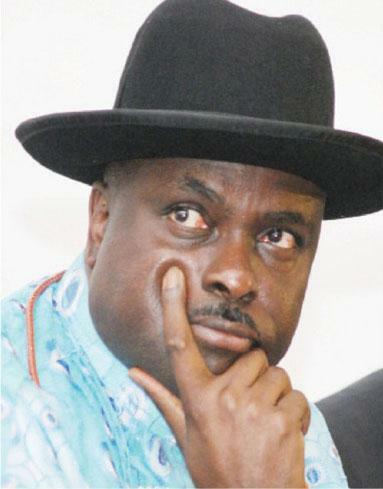 Ibori’s visionary leadership, especially his strong determination to ensure a better deal for oil producing states and communities was perceived as a threat to the very existence of non-oil producing states in the North and this, according to political analysts led to the conspiracy which gave birth to his prolonged political persecution and trial in the South-South region. Ibori by the Finger of God, survived the ordeal, returned to Nigeria and still making waves as one of the most outstanding politicians in the African continent. He remains the National Leader of the Ibori Political Dynasty (IPD), the most outstanding politician in the Niger Delta region and Leader for the Life of Delta State politics. No amount of encomium is too much to describe the political enigma of the Oghara-born political strategist, Leader James Ibori. Urhobo Nation got the best of national recognition during Ibori’s tenure as governor and the tide changed for the better since he returned home from his political travails and tribulations master minded by his political detractors. Just recently, Ibori bagged a second chieftaincy title from the Kingdom of Kembowei in Patani, Delta State as the TIEMWEI “Pillar” of the good people of the Kingdom. His first title, “Ezi-Oyi of Anioma Nation”, in April 2017. 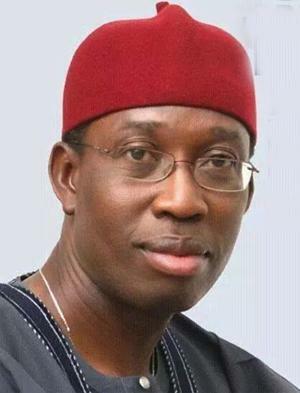 The political and brotherly relationship between the incumbent governor of Delta State, Dr Ifeanyi Okowa and Chief James Ibori cannot be broken by any imagination or political propaganda. The duo have come a long way; building political structures together. They went through the wide and narrow roads of politics together and mastered the mysteries of political power for good governance. Okowa like Ibori is making waves as governor; deploying the scarce resources of the state to develop the three senatorial districts of South, North and Central. The prudent managerial skills of the governor has earned him several awards and recognitions including the Independent Newspaper’s MAN OF THE YEAR 2017. The combined political forces of Ibori and Okowa remains the major undoing of the All Progressives Congress (APC) in Delta State. Ibori made it abundantly clear, early 2017, that Deltans should support Okowa till the end of his two terms which terminates progressively on May 29, 2023. Political analysts are also of the opinion that PDP will produce another Urhobo governor on May 29, 2023, a feat that Delta APC considers a bitter pill to swallow. The fact remains that the APC as a party has failed at the centre. In Delta State, APC is bedeviled by factions and petty squabbles which has become its major political obstacle and PDP’s major advantage. Kudos to Olorogun Kingsley Esiso, Delta PDP Chairman for his accomplishments and purposeful leadership. His tenure has been characterised by growth of the party, electioneering victories, unity and peaceful co-existence among the teeming party faithful, chieftains, supporters and leaders. Come 2019, PDP Delta will conquer APC once again to justify her political supremacy derived from the good people of Delta State. We owe Ibori so much gratitude for providing a visionary political leadership worthy of emulation. *Oghenesivbe, a lawyer, is a political communication Strategist, and Executive Assistant to Governor of Delta State on Communications. The post The political sagacity of Ibori, Okowa appeared first on Vanguard News.